Cannes is usually associated with glitz, glamour and its world famous film festival. 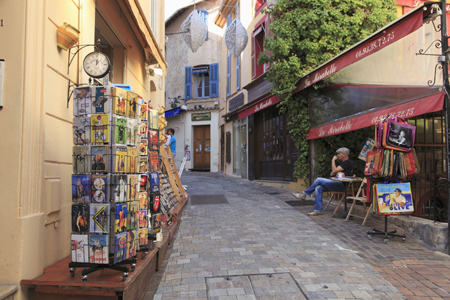 But enter the back streets of its old town, or La Suquet, and you’ve stepped into what feels like a small French village. If you climb up its steep alleys far enough you’ll be rewarded with panoramic views of Cannes, the Mediterranean and surrounding mountains. The pedestrian street pictured above is a far cry from the hustle and bustle of the city center just a few minutes walk away.